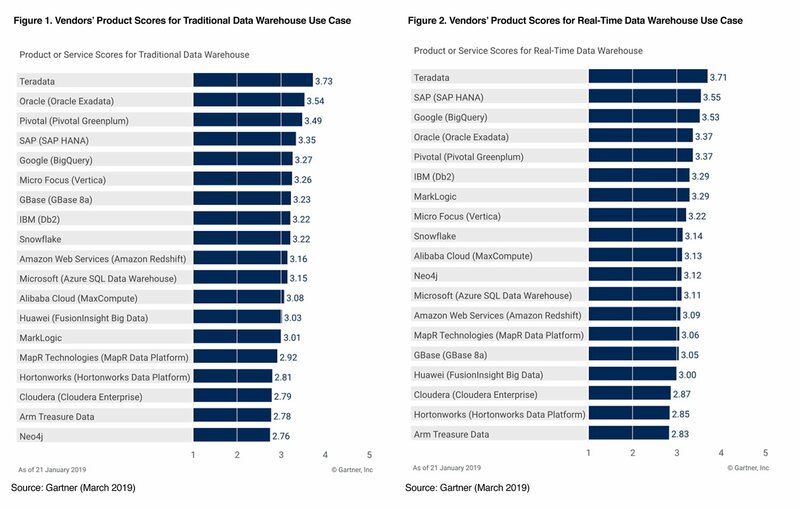 As a companion to the 2019 Magic Quadrant for Data Management Solutions for Analytics (DMSA), Gartner’s Critical Capabilities report identifies four major data warehouse use cases — Traditional, Real-time, Logical, Context-Independent — and ties them to 12 of the most imperative functional capabilities that data and analytics leaders should consider when evaluating a data management solution for analytics. 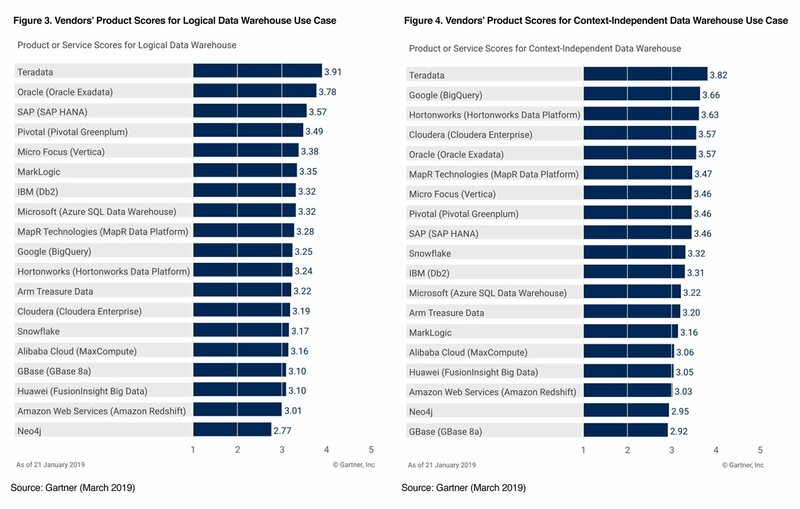 Teradata received the highest scores for all four use cases with Teradata Vantage! Download this Critical Capabilities report to read what Gartner says about Teradata. With Teradata Vantage, we provide you with a unified, integrated environment that delivers the best analytic functions and engines at scale. Teradata Vantage supports multiple data types, formats, and heterogenous data stores, and allows you to work with the tools and languages you prefer to quickly build and deploy the analytics you need – so you can operationalize analytics on an enterprise-ready platform and drive crucial business outcomes. This graphic was published by Gartner, Inc. as part of a larger research document and should be evaluated in the context of the entire document. The Gartner document is available upon request from Teradata.